Technology news for the on the edge reader who likes to stay ahead of the curve. Do You Have a Dubstep gun? In Doom there was the BFG-9000, in Gears of War there's the Hammer of Dawn, in Saints Row IV there is the coolest weapon ever named the 'Dubstep Gun'. But you might be wondering still, what exactly is a dubstep gun? 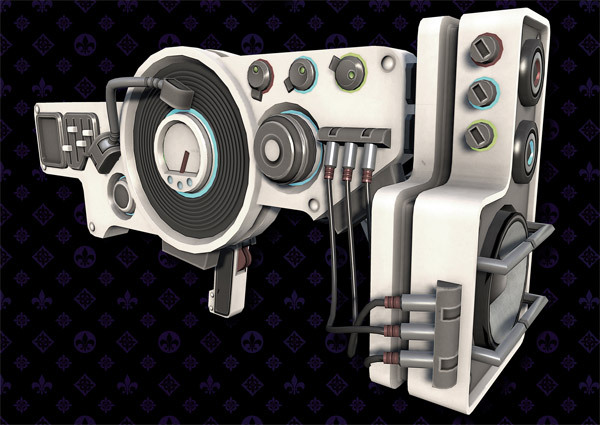 The dubstep gun is a featured weapon found in the 4th Saints Row game, it is literally a modified looking assault rifle that has a sub-wolfer speaker, amplifier, equializer and a turntable attached. When triggered this gun bursts out a pulsating beam of light and dubstep audio onto it's target, sending them into a groove state of uncontrollable dance movement until they burst. Not only that the gun plays probably one of the best dubstep sound tracks throughout the firing. This gun can be improved upon to have a wider target range and heavier damage. This page contains a single entry by admin published on April 21, 2017 5:28 AM. Xbox One + 2 games + 2 controllers $249 was the previous entry in this blog.